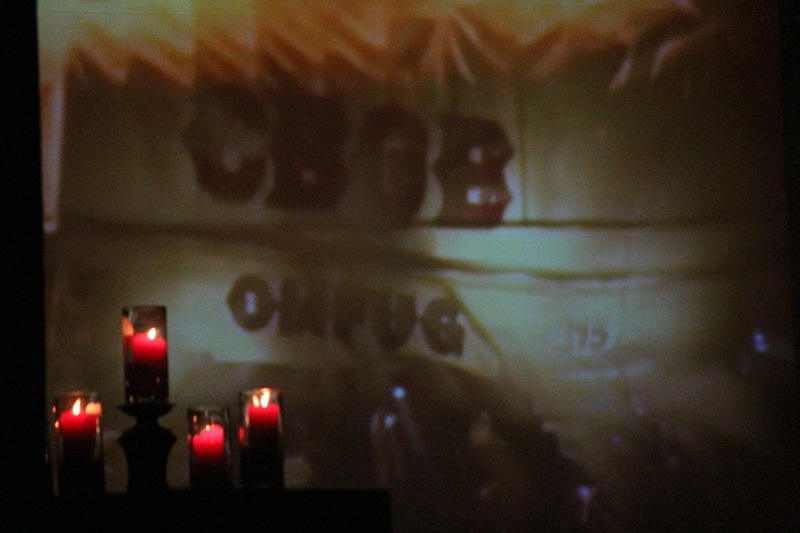 Guns N’ Roses smartly arranged writing credits for all five members, and though this was accurate, it did not stop other problems from arising. 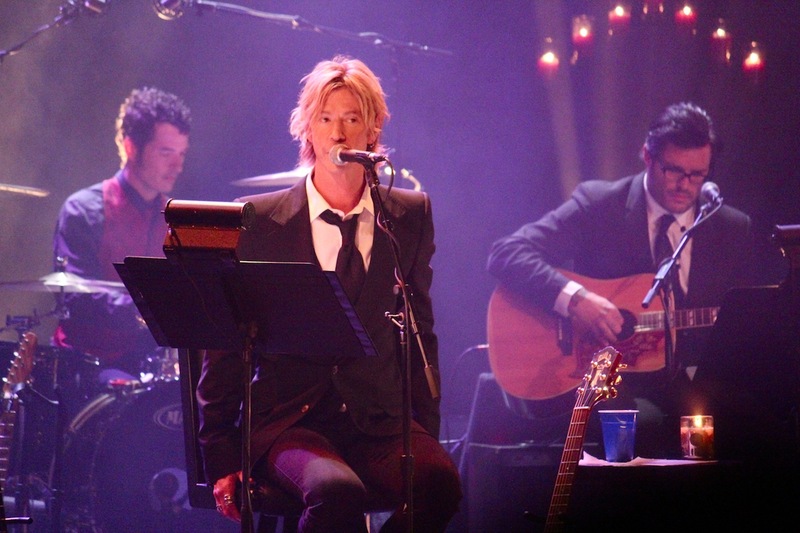 Though McKagan left Seattle in the early ‘80s to avoid the ubiquitous drug scene, drugs became a problem for the band – and McKagan. By the time of Use Your Illusion I and Use Your Illusion II, and then “The Spaghetti Incident?,” drugs were a really big problem. 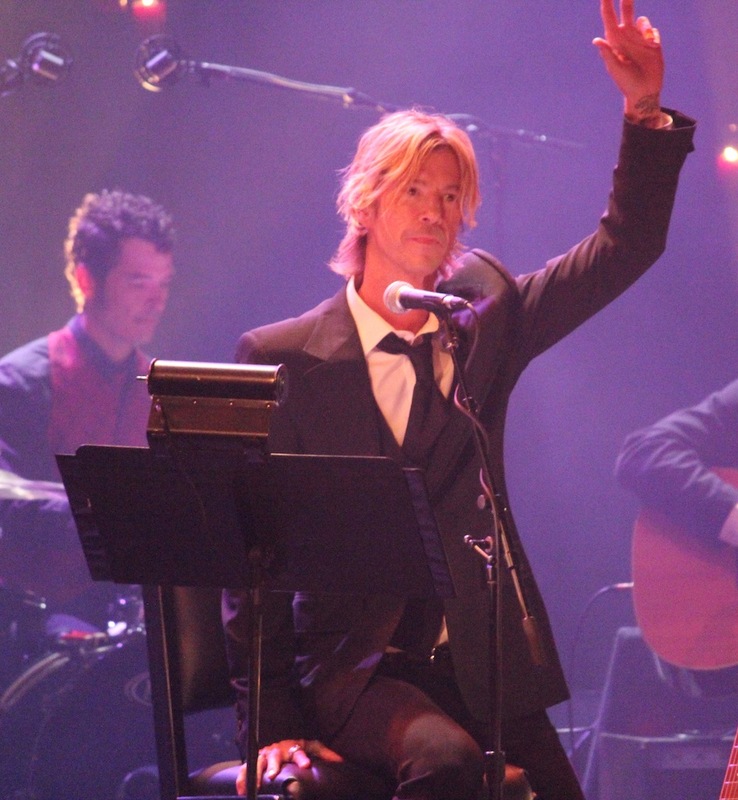 For McKagan, until drugs hurt his bass playing, he felt he could handle it. But then the drugs damaged his playing. His fingers cracked and bled from dehydration, he couldn’t keep in time. McKagan does not shy from talking about anything in It’s So Easy, and his fluid writing style added with this honesty makes for gripping reading. 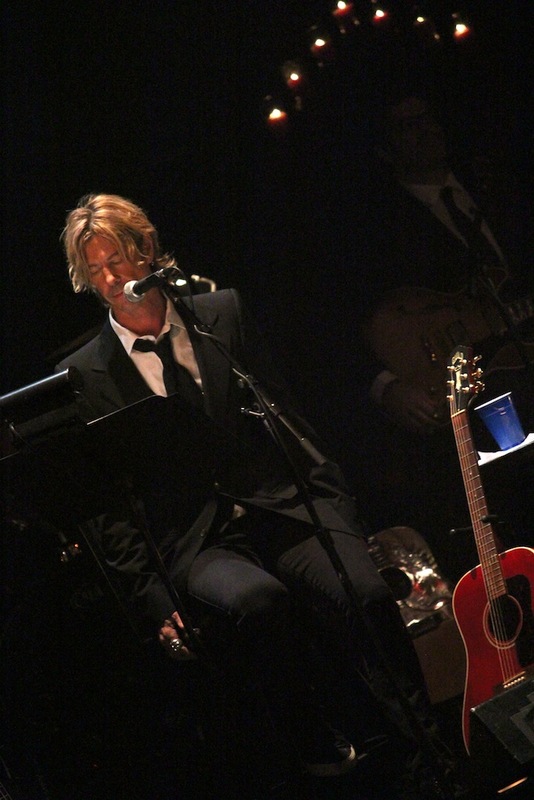 For his reading on Tuesday evening, which began with a cool slideshow of his interests and influences, McKagan picked an excellent selection from the book, perfect to share in the beautiful environment. For Tuesday’s reading the Moore’s stage was decorated with lovely candelabras holding red, lit candles and a gorgeous chandelier. 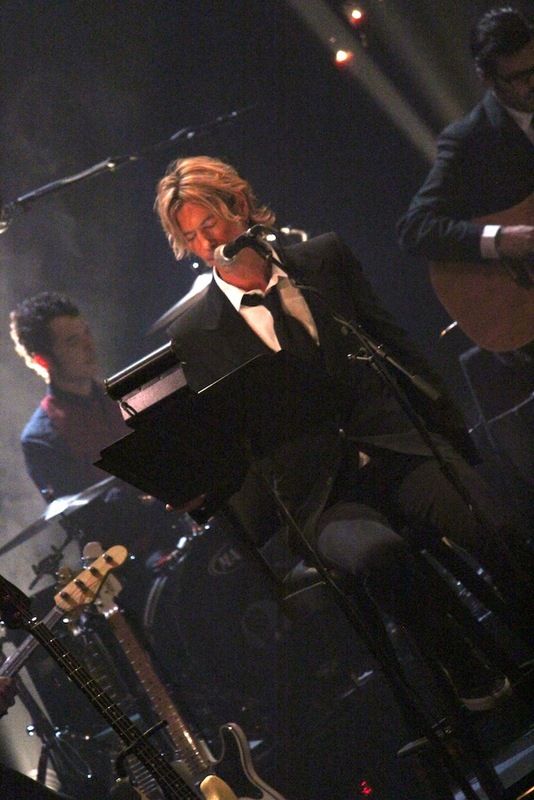 Bathed in mostly red light, wearing a drape style suit, McKagan connected with the audience in an intense way. He made eye contact, stood several times and got us clapping to the music. 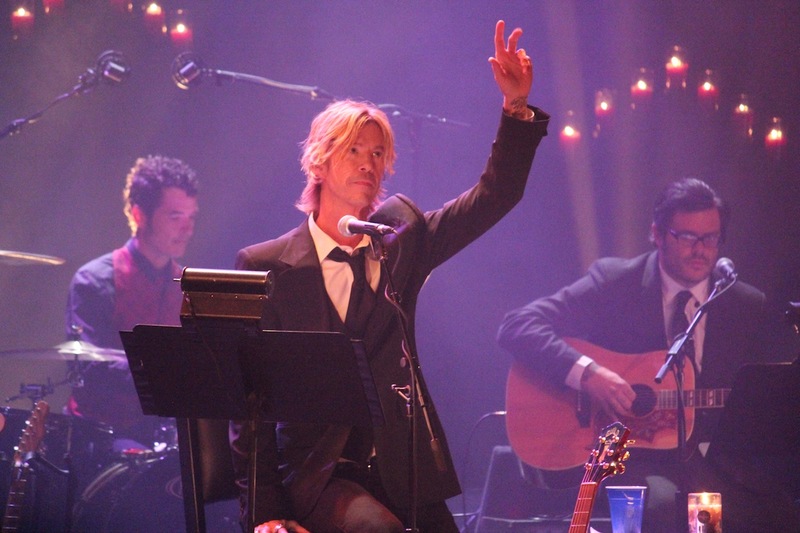 Oh, and he received many standing ovations. 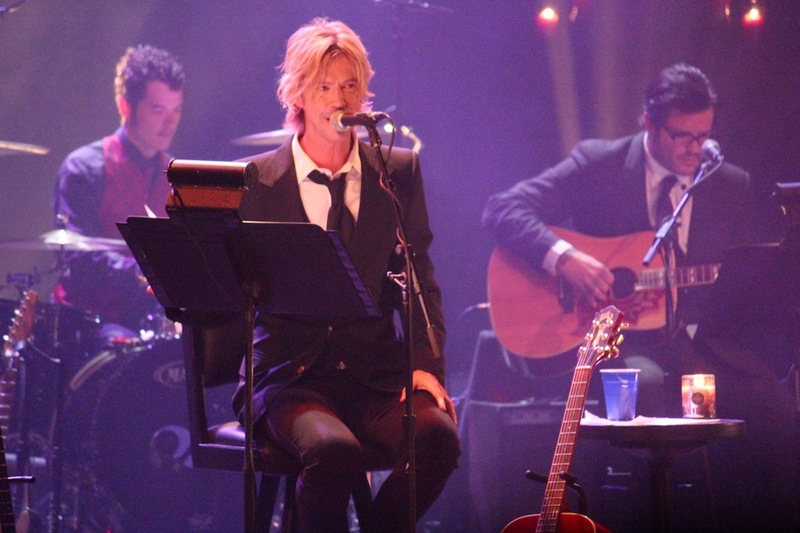 Talented musicians, including a string section, played softly along McKagan’s readings the songs “Patience,” “November Rain,” “Sweet Child O’ Mine,” “Paradise City,” and cover of Dylan’s “Knocking on Heaven’s Door.” McKagan read parts about his Seattle childhood, which happened fast with early shroom ingestion and young appearances at legendary punk spots such as Gorilla Gardens. When he moved to Los Angeles he eventually formed, along with Izzy Stradlin, Slash, Steven Adler, and Axl Rose, what would become Guns N’ Roses. 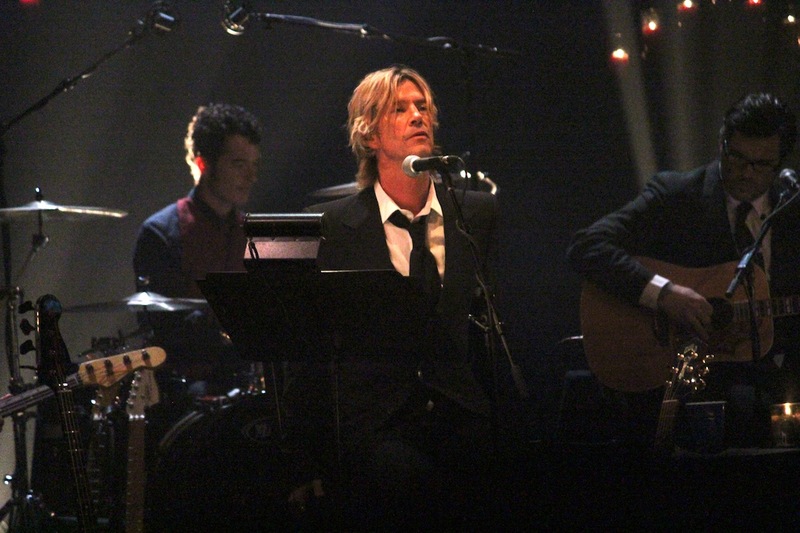 When McKagan read selections revealing how he coped with his drug addiction, how he felt horrible about being the sick one in the hospital while his mother was battling Parkinson’s, how he coped with becoming a good husband, father – a person – it was genuine. Audience members were hushed. Right before he read the part of his book dealing with his wife having their first child, he looked out at her with so much respect it was really moving. 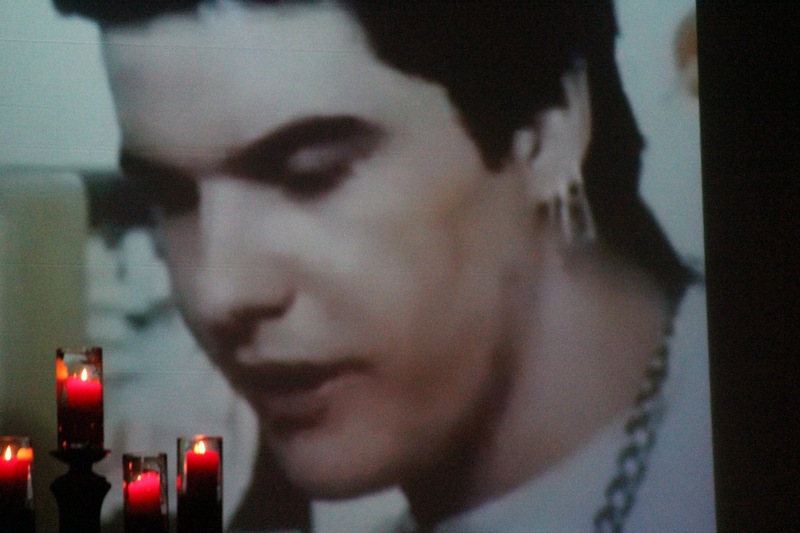 It was more as if a really cool guy was just up there sharing his life. Which is exactly how it was, and how he wanted it; he eschews being called a rock star. Written by: Dagmar on 03/30/2013. 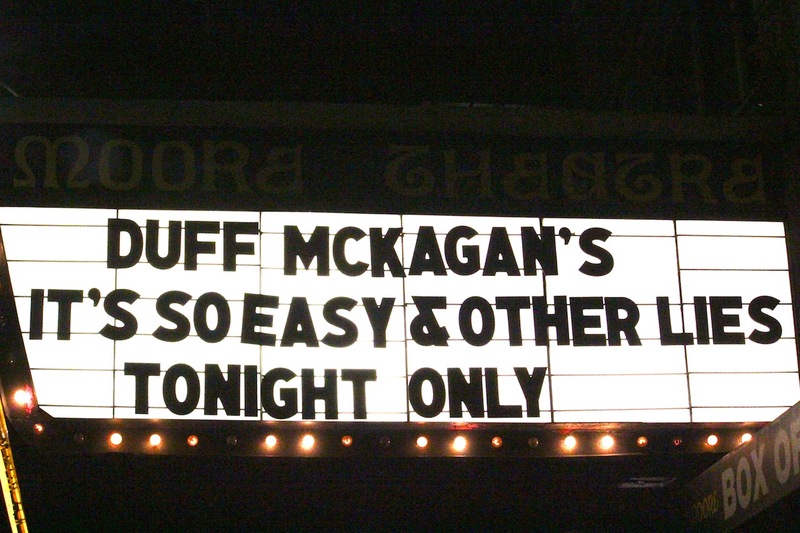 This entry was tagged duff mckagan, posted by dagmar. Bookmark the permalink.